Frequently Asked Questions – Gain a better understanding of the intellectually and developmentally disabled community. Newsletter – The Arc of Southington produces a quarterly newsletter, The Leader. Check out our You Tube Channel – Short videos of our people in action. 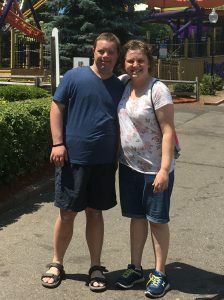 The Arc Connecticut is the state-wide advocacy organization committed to protecting the rights of people with intellectual and developmental disabilities and to promoting opportunities for their full inclusion in the life of their communities. People First of Connecticut – Advocating for the disability community since 1983. Futures Planned – Planning for the future for your child or dependent with special needs. The Giving Back Girls – Giving back to the community through volunteerism and a dedicated commitment to leadership.